High quality, customizable and professionally pre-designed MS Word document layout for 3 pages (DOT format template). It contains built-in heading and text styles with high-quality graphics and images. High quality, customizable and professionally pre-designed MS Word document layout for 1 pages (DOT format template). It contains built-in heading and text styles with high-quality graphics and images. NOTE : We recommend our users to use latest version of software to get best output. 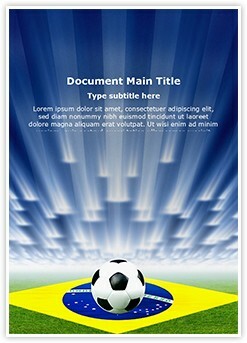 Description : Download editabletemplates.com's cost-effective Brazil Football Soccer Microsoft Word Template Design now. This Brazil Football Soccer editable Word template is royalty free and easy to use. 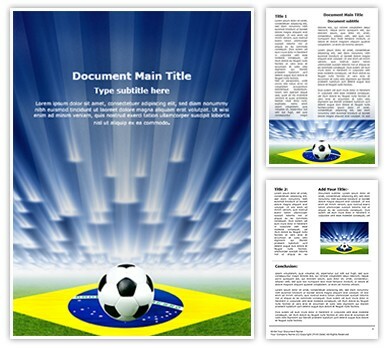 Be effective with your business documentation by simply putting your content in our Brazil Football Soccer Word document template, which is very economical yet does not compromise with quality.